Moneyrates.com recently ranked Austin the best city for young entrepreneurs. It has a cultural landscape attractive to the inventive, like the young tri-athletes who created a low-carb, grass-fed, animal-protein snack called the Epic Bar, which was featured in the Los Angeles Times as a trend in healthful snacks. In 2014, the company posted sales of nearly $7 million before being scooped up by General Mills. A walkable city, and the capital of Texas, it is home to many government agencies and the University of Texas-Austin. These institutions, and their offshoots, provide a stable backdrop for its ever-burgeoning business sector that includes companies in finance, health care, and tech. It’s old school, and yet crowded with niche industries, the homegrown and homespun. Tech has been a driving force in the growth of the city, and has become known as Silicon Hills. Its long roster of tech companies includes the Austin campus of publicly traded Advanced Micro Devices, and the headquarters of Dell. 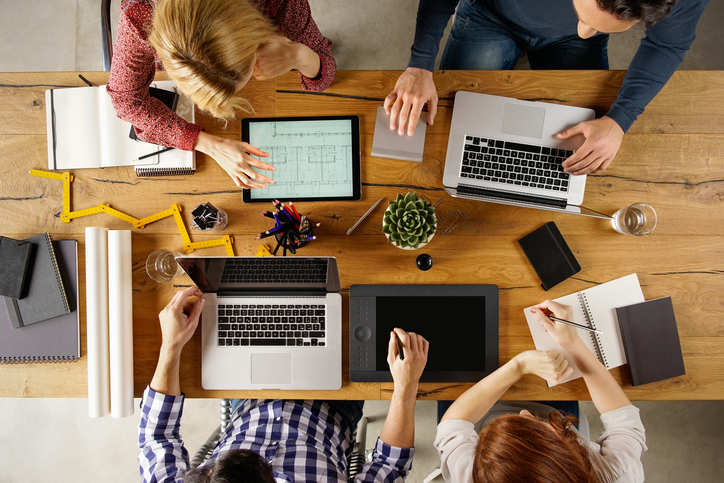 It’s attractive to tech startups too, and there is an online community called Built In Austin that is a hub for tech news, info on startups, job postings, and details on industry-related events. Forward thinking, and focused on the quality of life of its residents, the city established an Office of Digital Inclusion in 1995 with a goal of ensuring that 100 percent of its residents have access to high quality internet. The ambitious plan includes outreach, and bi-lingual trainers, to demonstrate technology’s relevance to daily life, including the ability to apply for services and jobs. Hot, hot, hot, Austin caught the attention of Forbes magazine in 2015 as the city with the greatest number of people flocking to it. Between 2010 and 2014 it added 126,296 residents from within the U.S., bringing its total population to 1.94 million. Taking the number two spot was Raleigh, North Carolina with 55,920 newcomers. It’s not all business and ambition in Austin. City planners and dwellers alike prize balance. 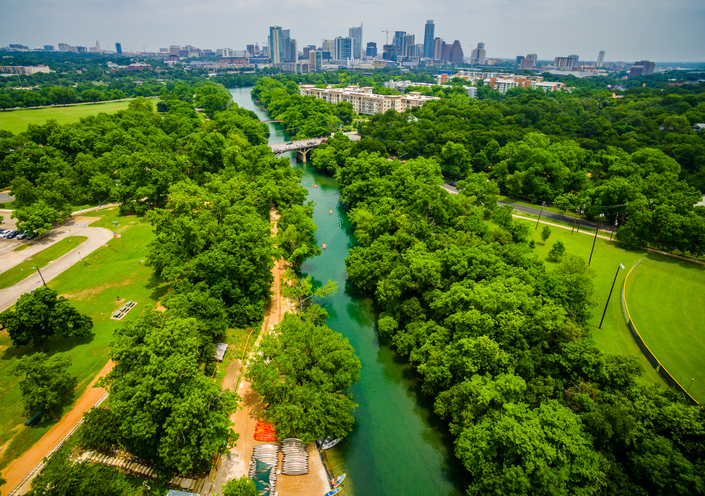 It is possible, in Austin, to quickly transition from corporate life to recreation enthusiast with a wide assortment of trails, waterways and city parks. The city of Austin offers an ideal balance of outdoor activities, culture, technology and business – no matter what stage of your career or business venture you are in, it is a city worth looking into. Your business likely needs equipment to operate. Businesses looking to improve operations and productivity can do both by leasing new equipment instead of buying expensive equipment outright. Leasing offers an affordable way to upgrade and update business equipment of all kinds while preserving cash. A Fair Market Value lease, also known as an operating lease, is probably what comes to mind when you hear the term “lease.” Commonly utilized when someone leases a car, an FMV lease allows the lessee to use the equipment for a pre-arranged time period for a fixed monthly payment. At the end of the lease term, the lessee has the option to purchase the equipment at its then-determined Fair Market Value, return the equipment, or upgrade to new equipment. FMV leases are commonly used to acquire IT equipment, including computers and tablets, servers, software, security systems, GPS, or other technology-based equipment. FMV lease terms usually range from 12 to 60 months. A $1 Buyout Lease, also called a capital lease, is similar to purchasing equipment with a loan. With this type of lease, there is a higher monthly payment compared with an FMV lease, but at the end of the lease term, the lessee purchases the equipment for $1. 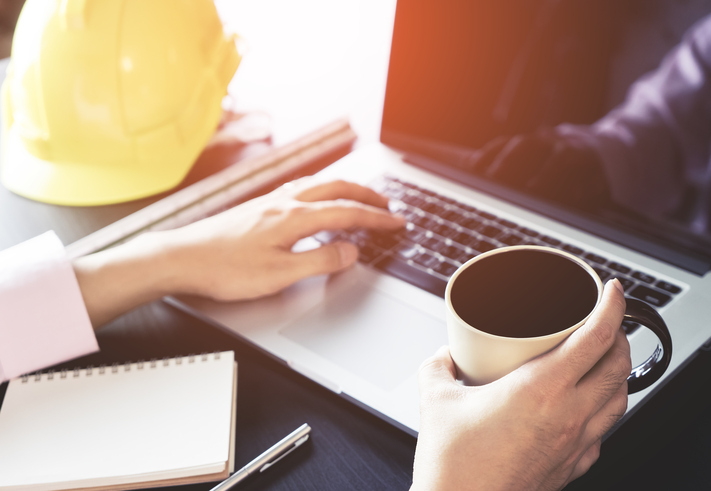 Since it is very similar to taking out a loan on a piece of equipment, this type of lease is often used when a business plans to keep the equipment for a long period of time, or when equipment obsolescence isn’t a concern. $1 Buyout Leases are often used for equipment that retains its value over time, such as construction equipment, automotive repair, material handling, tooling, cleaning equipment and pressure washers. At Crestmark, we understand that businesses need affordable options to make equipment acquisition possible. We offer both Fair Market Value and $1 Buyout leases and can help you determine the best equipment lease/finance solution for your business – and make the process easy for you! Want to explore your leasing options? Contact Crestmark Equipment Finance or call 888.999.8050. The greatest basketball player of all time once said, “You have to set your goals before you can achieve them.” Even with his incredible talent, Michael Jordan recognized the importance of setting clear goals. 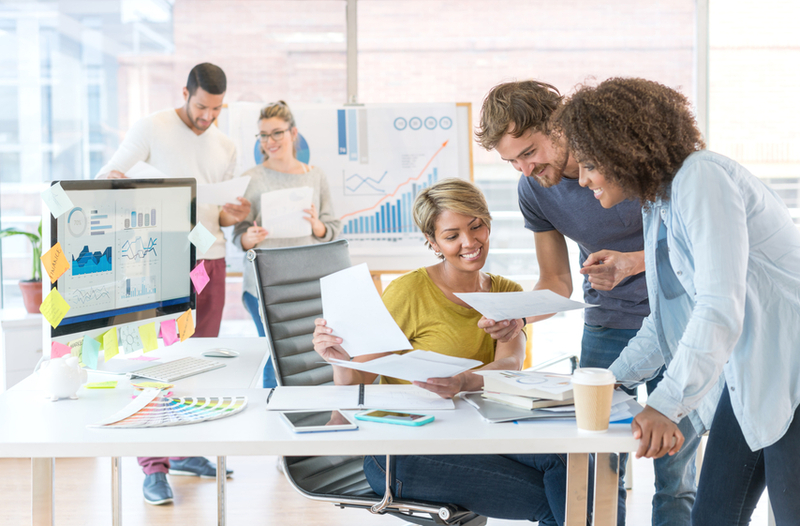 Most businesses want to increase profitability, help their employees become more productive, or additionally, take a greater share of the market. However, without setting specific targets, and developing a plan to hit them, it is less likely that these goals will be achieved. To help you get started on defining financial goals for 2017, try this well-known, and effective method called S.M.A.R.T. The SMART concept for goal setting was introduced in an article in the November 1981 issue of Management Review on the importance of setting business objectives. It’s become widely used and adapted because it provides a simple, logical framework, and the acronym makes it easier to remember. Specific – Be specific. For example, set specific revenue targets, e.g., increase revenue by 10 percent by cross selling new products to current clients. Measurable – Measurable goals inspire action, and provide markers for success. If your sales team sets a goal to close 20 deals by the end of the first quarter, this can be easily tracked. Along the way, plans and actions can be adjusted to meet the target. Achievable –Setting achievable, but inspirational, goals is important. The purpose of goal setting is to guide growth and success. Set goals that are ambitious, but attainable, and guide your business to the next big milestone. Relevant – Setting a relevant goal means that it aligns with the overall mission of the business. For example, if you’ve determined to increase revenue by 10 percent, determine the most logical areas, based on experience and known factors, where this revenue increase can be derived. Once you’ve set your goals, work towards them methodically. Share them with your team, and monitor progress. A commitment to the process ensures progress will be made, and you will learn a lot along the way. 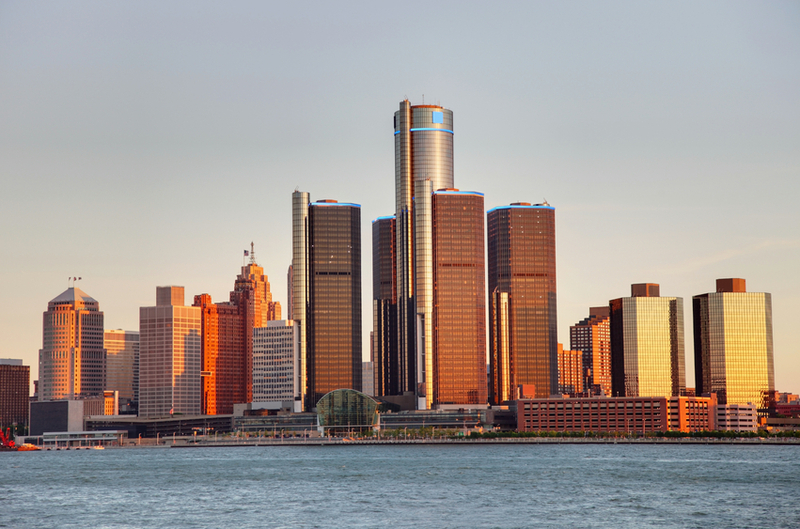 Detroit has been experiencing a building boom. In the last few years, more than a hundred new restaurants have opened in the city, including Gold Cash Gold, opened by passionate locals, and Roast, a creation of famed chef Michael Symon, an Iron Chef on Food Network. The resurgence in the city’s restaurant business can be partly credited to the phenomenon of a barbecue restaurant named Slows, which opened in 2005 in an all-but-deserted block of Detroit’s Corktown neighborhood. The restaurant quickly caught on, and brought throngs of customers nightly, proving the city could attract people and dollars. The neighborhood now is a thriving destination, with restaurants and shops lining both sides of the main drag. Among them is Astro Coffee Shop, opened by young entrepreneurs. It attracts daily crowds with its artistic, urban charm, and a menu that rivals any international city’s hot spot for coffee. The arrival of Quicken Loans, the largest online mortgage lender in the United States, was one of the most important breaks the city received in decades. Quicken ranks at the top of Detroit employers with 11.524 people working in its Detroit offices. Founder Dan Gilbert has been successfully leading the city’s real estate revival. He has been buying and redeveloping buildings, many of them historic, in the downtown area, and now owns or controls more than 80. Small businesses, like outdoor apparel retailer Moosejaw, have been steadily opening, and large national chains are beginning to take notice of the upturn in Detroit’s business environment. Whole Foods has a store in the historic Brush Park neighborhood, and it’s been reported that Target has Detroit on its radar. 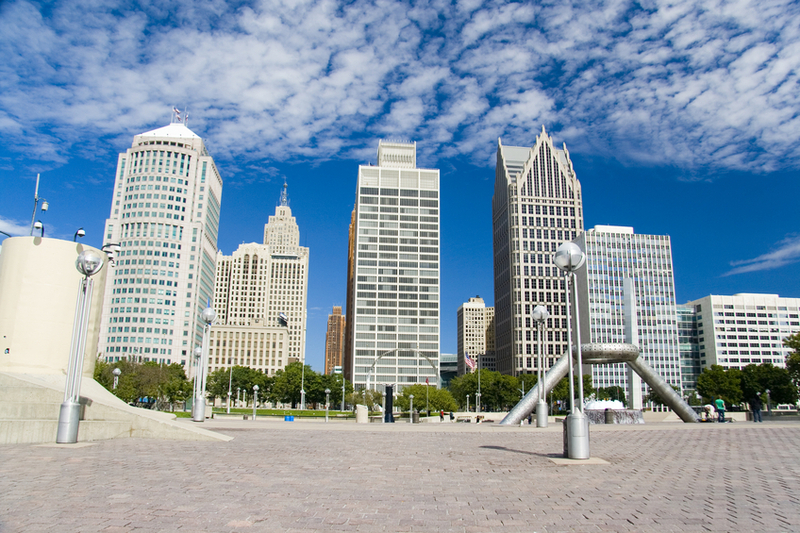 The Motor City has been helped by the record-breaking auto sales of the last few years. General Motors has its headquarters in the Renaissance Center on the Detroit River, and has been important to the development of the beautiful parks and trails along the Riverfront. Once a desolate area marred by parking lots, the riverfront now brings thousands of daily visitors. In addition, General Motors recently invested $1 billion in its plant on the border of Detroit and Hamtramck, hired 1,200 employees, and added a second shift to meet demand for the five vehicles produced there. Detroit’s recent successes have come in the best possible way – through the contributions of small business owners who love the city, the commitment and investment of large businesses, and the sheer determination of its residents who never counted the city out. The U.S. manufacturing sector represents 30 percent of Crestmark’s clients, according to Dave Tull, Crestmark founder and CEO. In Crestmark’s 20-year history, it has provided financing to scores of American manufacturing companies – often those that could not get funding from traditional banks. Crestmark is helping manufacturers from a range of industries get the funding they need for growth, cash flow, acquisitions, and operations. According to a 2015 survey by Consumer Reports, the vast majority of Americans say they prefer to purchase American-made products. The good news is that while U.S. manufacturers have faced many obstacles to success, they continue to innovate, create efficiencies, and produce goods that are in demand. Crestmark founder and CEO Dave Tull was interviewed for the article. On helping manufacturers with cash flow, Tull told the ABA Banking Journal, “The turnover of the cash doesn’t often coincide with the need for cash. The cash is going to be there, so it’s just a timing issue.” One way that Crestmark helps manufacturers with this common challenge is by purchasing accounts receivable. 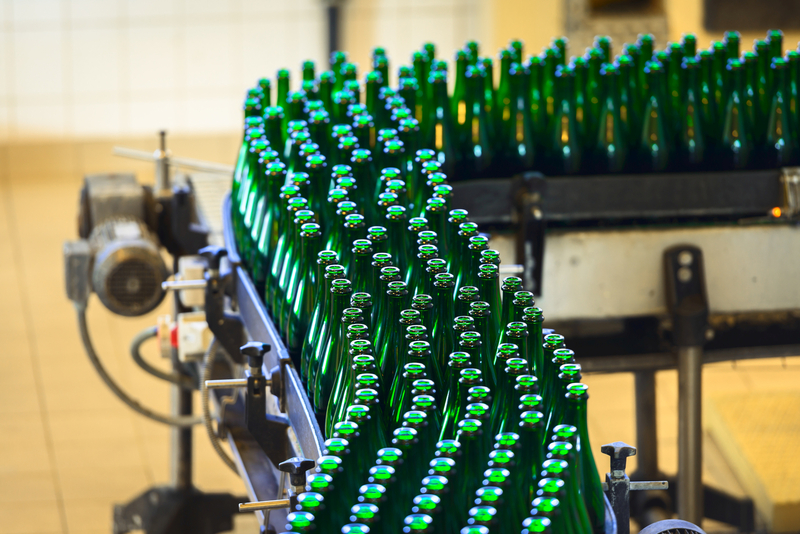 This provides manufacturers with quick access to funds. In the article, it is explained that Crestmark has a range of options to help manufacturers. For example, when a manufacturer needs funds to get to the next level, Crestmark can help. “We step in to finance growth,” Tull says. Read the complete ABA Banking Journal article here. 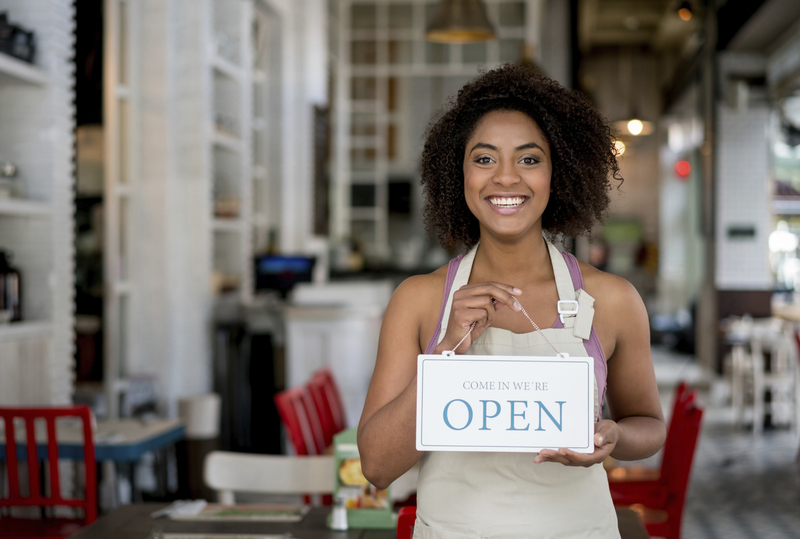 For many small businesses, once the business tax return is filed, and taxes are paid, they wonder, ‘What if we’re audited?’ It’s not likely. According to the IRS, only 57,000 businesses were audited in fiscal-year 2014 – the fewest since 2006. This represents 0.57% of U.S. businesses. So, what if your company is one of those selected? Though feared, an IRS audit does not necessarily mean bad news, or that they suspect wrongdoing. According to the IRS, audits are a review of an organization’s or individual’s financial accounts to confirm that financial information is reported correctly, and to verify that the amount of tax reported is correct. So for most businesses, having the IRS knocking at the door will be little more than an inconvenience. 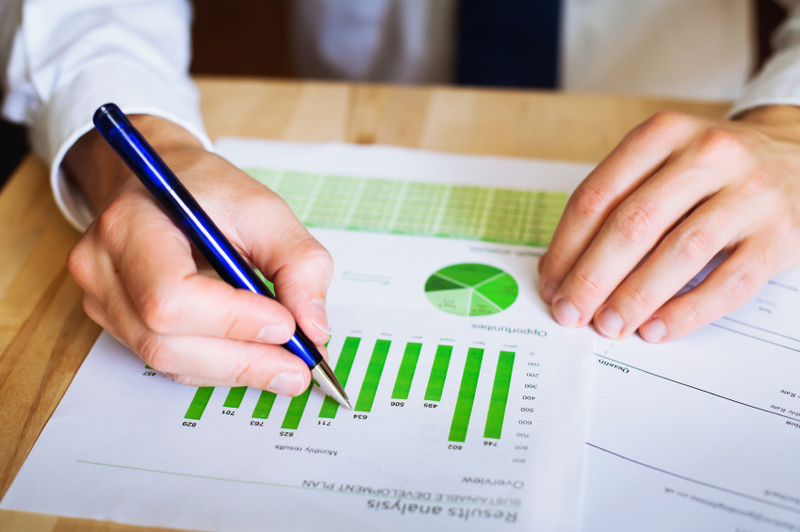 It’s important to treat the audit as another part of doing business. Work with your tax professionals, and proceed in a professional manner. If your company’s return is selected for an audit, the IRS will send a notice by mail. Don’t delay in opening mail from the IRS. Deal with it right away, and it will make the process much easier and less stressful. Many times, audits are conducted by mail. The IRS notice of an audit will include instructions. Review the instructions, and respond to requests for information and/or documents within the time indicated. If you aren’t sure you understand what is being asked of you, call the IRS phone number on the letter or go to your local IRS Taxpayer Assistance Center. 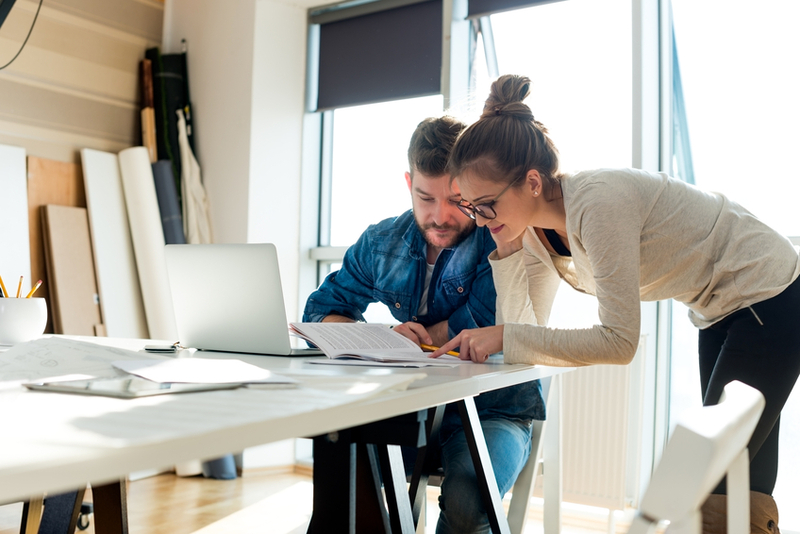 Work with your business’s tax advisers. After review of the documents requested, the IRS may accept the tax return as filed. Or they may propose changes. If they accept your return as filed, the audit process is complete. If the IRS proposes changes, you have the option to agree with the proposed changes, or disagree with the proposed changes. It is important to review your options carefully, and to respond in a timely manner. There are many options for managing this process. Read: Your Appeal Rights and How to Prepare a Protest if You Don’t Agree. For details about the audit process, go to the source! The IRS has a video guide to an IRS audit, and other helpful information. Local economies are the life of every city in the U.S. They have an effect on nearly every facet of society, such as school systems, population growth, and business opportunities. Local economies, just like our national economy, are always in motion. As cities seek to grow and prosper, they generally experience good times, and periods that are challenging. Some cities experience an economic boom, while others decline, or remain stagnant. There are many reasons why some cities grow and others falter – consider Bismarck, North Dakota, a sleepy city that grew drastically due to global economic factors that required a new method of oil production. In the same way that business owners must manage the challenges of a shifting economy, cities are also looking to come out on top, and these five cities have made positive moves to grow their economies. This Tennessee hotspot isn’t fueled by country music alone, as Nashville has grown and matured as a city, it has also diversified. With a wide range of healthcare services and financial companies, it has piqued the interest of job seekers who have relocated to the area. All across the country, there has been a trend of migration into cities from the suburbs, and Nashville is no exception. Businesses large and small have contributed to Nashville’s growth, and in 2013, its economy officially topped the $100 billion mark. Known the world over as Motown and the Motor City, Detroit is also called Hockeytown in honor of the passionate followers of the Detroit Red Wings hockey team, valued at $600 million. This sports-loving town is also home to the Detroit Tigers Baseball Team, valued at more than $1 billion; and the Detroit Lions Football team, valued at $1.5 billion. All three teams invested heavily in stadiums and arenas in the city’s downtown; construction is underway on a $444 million hockey arena and 45-block entertainment complex. Stroh’s beer, which stopped brewing in the city in the 80s, now brews a Bohemian-style Pilsner in Corktown. Visionary, and future-focused, Detroit’s civic and community leaders united on the need for public transportation to create a vibrant, livable city. The M-1 Rail Woodward Avenue Streetcar Project is set to open in 2017. In one of the top spots on Forbes Fastest Growing Cities list, Dallas is becoming known as a hub for global finance. A 2015 report from The Texas Development Council indicated that the state’s finance industry grew 15 percent in the past 10 years, and that had a positive impact on jobs in the Dallas-Fort Worth area where financial sector jobs increased 4.7 percent. Though the oil industry has faced some tough challenges in the last year, housing prices are rising. They are up nine percent since 2015 due to demand. Rich in culture and just plain old rich – Austin has been listed as Forbes fastest growing American city. From 2011-2016, Austin economy grew at rate of 6.1 percent. Not surprisingly, Austin’s population, many of them young professionals, has skyrocketed with 2.9 percent annual growth. As the capital city of a state with tremendous business opportunities, Austin shows no signs of slowing down. Often referred to as the “New York City of the West,” San Francisco has become a massive hub of commerce in Northern California. A high cost of living has not deterred job seekers from moving to the Bay Area; the city has shown job growth rate of 4.6 percent. Besides job growth, a sprawling tech industry, and a strong finance industry, who can resist the year-round temperatures hovering pleasantly near 70 degrees? No matter where a business is located, most are helped along their journey with financing. At Crestmark, we’ve helped businesses achieve their potential by offering flexible lending solutions. We look forward to answering your questions, so give us a call today at 888.999.8050! You may be green in the face from all the talk about “going green.” This trend over the last decade refers to the attention and effort to reduce waste in all areas of our lives, adopt more sustainable processes, and use materials that have minimal impact on the environment. There are many steps businesses can take to become green, but you may be asking why. In the manufacturing industry, the focus is usually on increasing revenue, cutting costs and maximizing production. Implementing green practices is compatible with operational efficiency, cost control, and profits. In fact, these goals work in harmony with each other! Let’s take a look at the value of going green, not just for our planet, but for your bottom line. The good news is, going green can help control costs. Take a look at General Motors and their Assembly Plant in Orion, Michigan. They have been using gas from landfills for heating and cooling, eliminating their prior use of coal. The landfill gas provides 66 percent of the energy used at Orion. In addition, Orion has a 350-kilowatt solar array that sends clean energy to the grid. The plant’s processes have been changed to reuse and recycle in all possible areas. Shipping crates are donated to community gardens in Detroit for creating raised beds, and also used to create a rooftop garden on a parking structure at the GM Renaissance Center. The plant is recognized as one of the most innovative assembly factories for car production. In addition, employees are encouraged to be resourceful and innovative in support of the plant’s green goals. Whether it is reusing rags in the paint shop or recycling, employees are participating in, and leading, green initiatives at Orion. Going green is not only useful for reducing costs, it can also increase revenue. Consumers, more than ever, want to do business with companies that demonstrate a commitment to policies and procedures that are socially and environmentally responsible. Consumers not only prefer companies to have environmentally sustainable initiatives — they expect them. There is a competitive advantage in manufacturing products with a minimum of carbon emissions and waste. Imagine a consumer deciding between your product and that of a competitor – to them there may not be a clear distinction between the products, except that yours is produced in a green manufacturing plant. For many consumers, green practices align with their personal value system, and your company gains the advantage. In addition, tax incentives are often provided to make it more affordable for businesses to go green. The solar industry is reaping the benefits of a bill, passed by Congress, and signed by President Obama, in December 2015, providing a five-year solar investment tax credit (TCC) extension, among other provisions. The incentives in the bill provided essential support for the burgeoning solar industry in the U.S., which has been a bright spot in the economy over the past several years. Adopting sustainable manufacturing practices enhances brand value. Manufacturers have long been criticized for contributing to water pollution, and releasing greenhouse gasses into the air. But some progress has been made. Advances in technology have lowered the expense of transitioning to renewable, clean energy, and other green practices. If your company is not ready to revamp its energy source, or make major changes, there are simple ways to begin transitioning to a green environment, such as mandating the use of non-toxic cleaning supplies, and insisting on office furnishings that emit fewer toxic gasses. Manufacturers, evaluating how to join the green economy, have an array of new ideas to consider. When going green doesn’t cost your business green, there are fewer barriers to this commitment. Go green. If you’re ready to be part of the green evolution, Crestmark can help! Call us today to hear about flexible financing options that could provide working capital to makeover your manufacturing facility!